Join Captain Tater Tot, the Pirate Captain, and Ringmaster, who loses all his circus cargo in a mighty storm at sea. 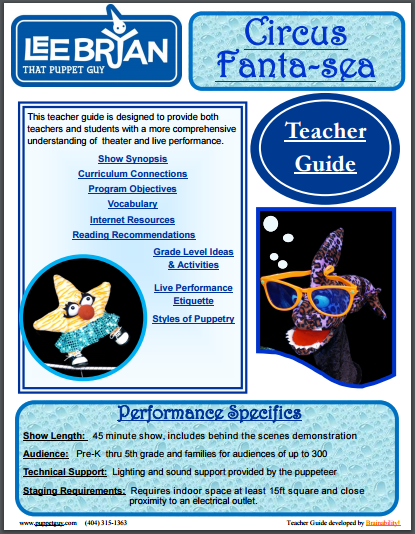 This aquatic adventure features puppets made from recycled plastic bottles. 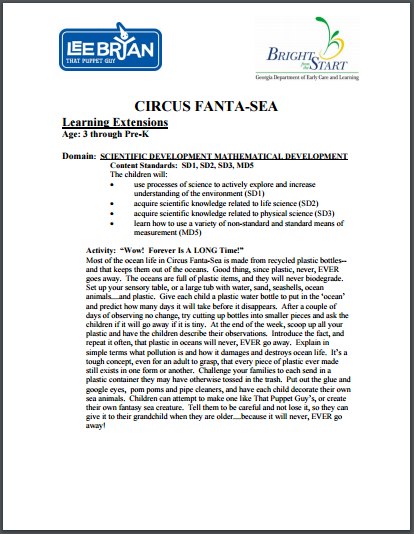 Circus acts include: a tap dancing Octopus, a unicyclist Seahorse, and a tightrope walking Starfish. But did Seymore the Shark come to join the circus… or just eat it? 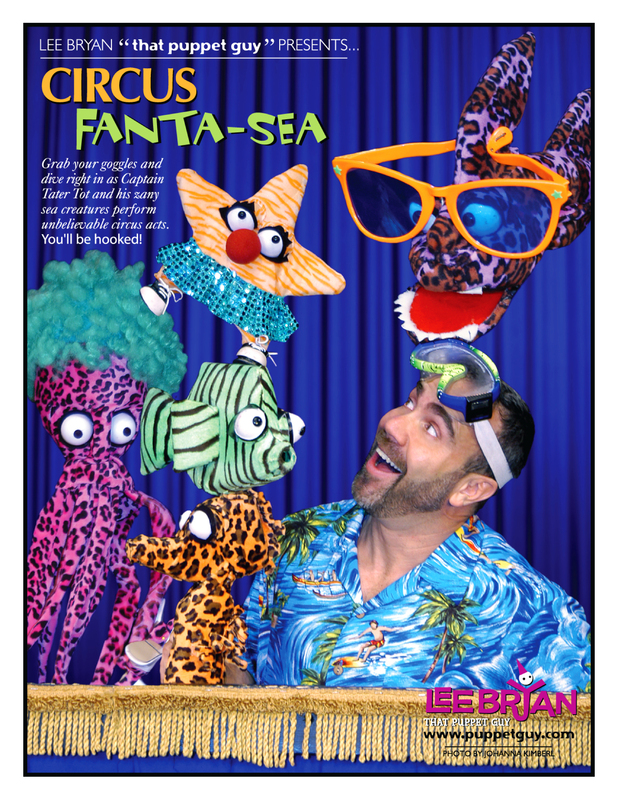 This show is recommended for up to a 250-member audience of children ages pre-K to 5 years old and their families. 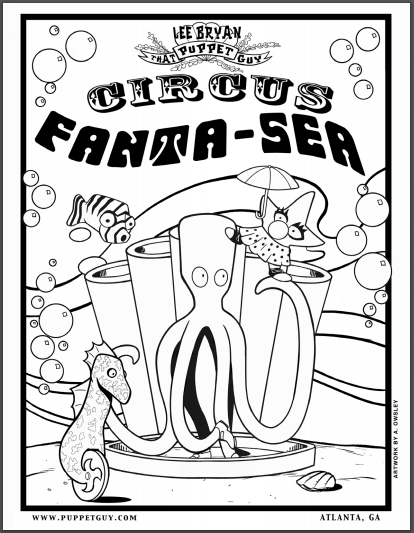 Download all the Circus Fanta-Sea assets, including hi-res photos.